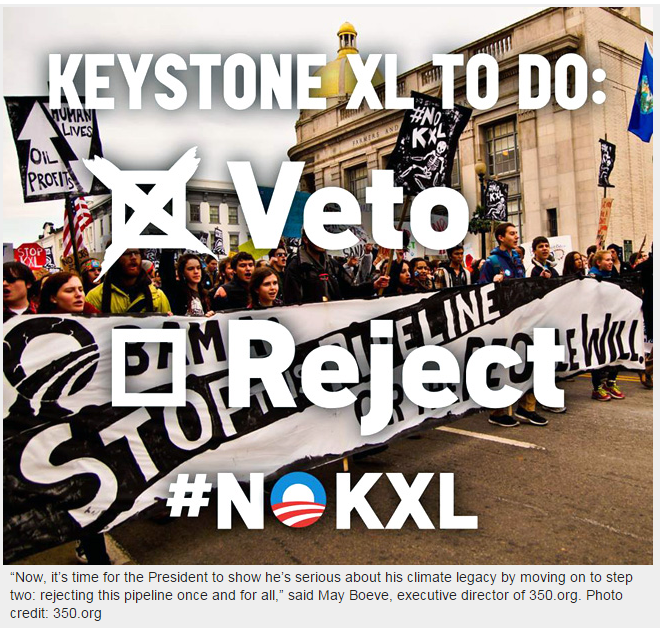 #KXL, the roll call, and how our democracy works – Did You Check First? I think it’s important for everyone to keep sharing articles like the one linked below about the president’s veto of KXL because it’s that big of a deal. The science is clear. It never was and certainly is no longer an issue for any further discussion or debate. Even we laypeople can understand the math. Who stands for environmental protection and who supports the fossil fuel industry can be easily understood by examining first who we vote for and then how our elected representatives then vote on issues like Keystone XL. The good news is that voting records are public, so it’s easy to tell if you just look. 9 Democrats in the Senate – sadly, including my Senator, Bob Casey of PA – voted in favor of Senate Bill 1: The Keystone XL Pipeline Approval Act. Every Republican Senator voted in favor except Rubio. He didn’t cast a vote, nor did Reid. In the House, the vote went pretty much as one would expect. Justin Amash from Michigan was the lone Republican to vote Nay. 29 Democrats voted in favor. Here they are in alphabetic order first by state and then by name. Now you know who is on the side of the people and the environment, and who is not. If you’re unhappy about these votes and you’re not calling your elected leaders in Congress, then you’re not fully exercising your right – and your voice – as a citizen. I’ve made my calls today to the DC offices of my two Senators, Democrat Bob Casey and Republican Pat Toomey. I’ve also called Republican Rep. Tim Murphy’s office. I’ve made sure to be civil and made sure they had my name and address as proof that I was a constituent. This how I believe democracy works. You need to speak up. You need to call your elected officials on a regular basis. They work for you and I; at least they’re supposed to be working for us. We are their bosses. It’s just my view, but if you stay silent on this or any other issue about which you feel even a little something for, then you really have very little right to complain. How are the people in DC and our state capitols supposed to know what we’re thinking if we don’t tell them? Even more to this point, if you don’t vote, you honestly have really no right to complain at all in my book. If you’re not going to participate in the democracy, then you shouldn’t act surprised or express frustration about what’s happening in our government. After all, they only got there because someone took the time to vote for them. Want to know how bad Canadian tar sand production is? Watch the video below. Maybe that will get you motivated to call DC. Environmental devastation of the land, water, and air – the largest industrial energy project in the world is extracting crude oil from bitumen found beneath the pristine boreal forest of Alberta, Canada. Effecting a land mass equivalent in size to Florida or England, Both industry and government are putting money before the health and security of its people and the environment.